RPMASA offer training courses that demystify the confusion surrounding implementation of the GHS both in South Africa and Internationally. It is recommended to give a solid understanding to representatives from Industry and government, particularly Management, Supervisors from Operations – factory and logistics who have OHS Act responsibilities for their people, Technical, SHEQ, RISK, Marketing, HR & Communications. Training is facilitated by Liz Anderson, who represents RPMASA on the UN Committee of Experts for the Transport of dangerous goods and the GHS. The course using Liz’s introduction with an overview + the local & global regulatory scene. Is it best practice or a legal requirement? Who, and What sectors does it impact on? Is it for industry and/or retail? What impact does it have on transport placards & labeling? 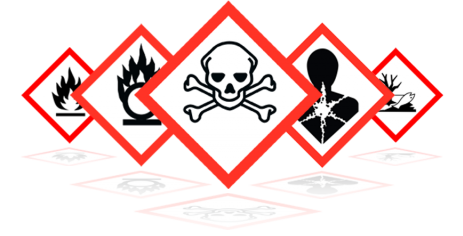 How does it differ from transport classification & how do I start GHS classification? “I found this course to add immense value to our current process of SDS and label update. Liz and Ilse are not only experts in this field, but can explain the technical jargon regarding the GHS with simplicity. I left the course with a far better understanding, and has made the process of updating far easier. Liz and Ilse are always available to help and maintain communication with delegates regarding changes after the courses are complete. I would recommend the courses to all companies required to undergo this process. "I found "change your forulation" and the cut off table to be very valuable. Course is scientific and logical. Transport is the lead agency clears a lot of disagreement." - John Morrison - Clariant Southern Africa (Pty) Ltd.